Dodge City won the Liberal Volleyball Tournament Saturday going 6-0 and beating Liberal (25-23, 25-23) in the championship. Liberal was 5-1 and placed second beating Heights in the semis (25-18, 27-25). Southwestern Heights, ranked third in 3A was 4-2 and only lost to Liberal in the semifinals and Dodge City in pool play. Dodge beat Scott City 2-0 in the semis. 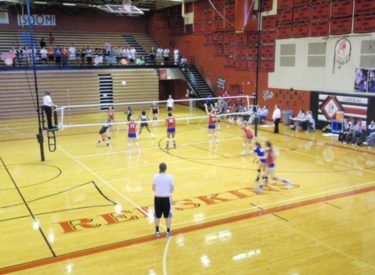 Liberal won their pool by beating Sublette (25-14, 25-9), Wichita Southeast (25-19, 25-20), Ulysses (25-15, 25-12), and Scott City (25-16, 25-16). Dodge City won a pool consisting of Elkhart, Colby, Southwestern Heights, and Hugoton. Dodge City’s Azlynn Thompson was named the tournament MVP and Brenna Briggs was also named all tournament along with Liberal’s Katie Burnett, Scott City’s Carissa Chelemedos, Cheyenne Santana of Wichita Southeast, and Heidi Brown of Southwestern Heights making the All Tournament Team.